One of my favorite things about summer is eating and visiting with family outdoors. It really doesn't get much better than that! Add some fun decorations for atmosphere and you've got it made. 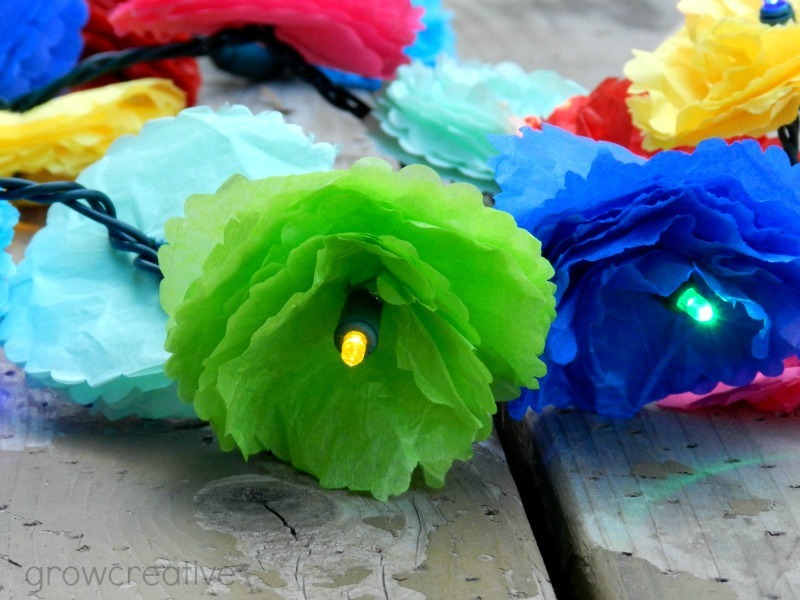 I created these colorful party lights for a recent family party we had and they really added to the atmosphere. Plus they were easy and cheap to make! A string of LED lights: white or colored, I used my Christmas lights and they worked great. 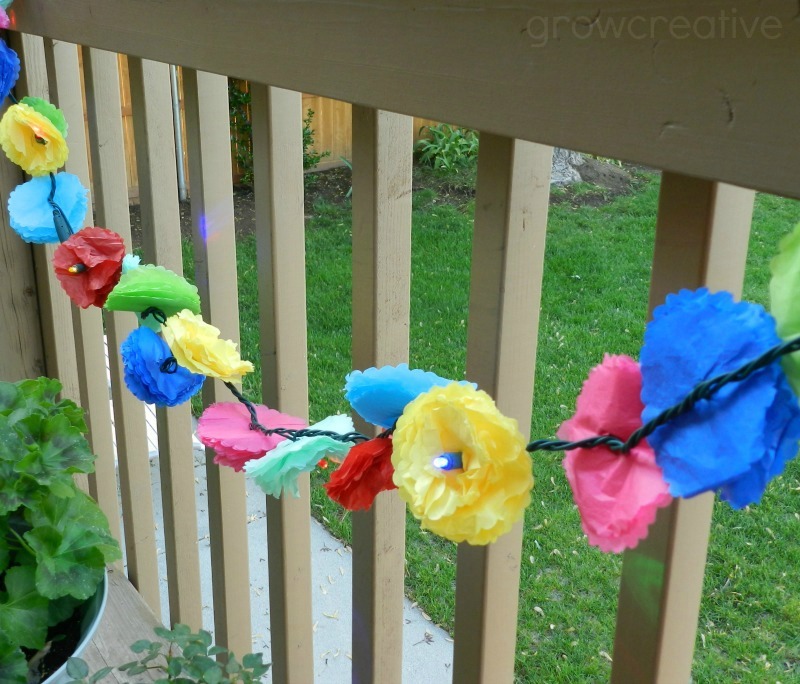 Step 1: Make some mini tissue paper flowers. The basic steps are shown below. 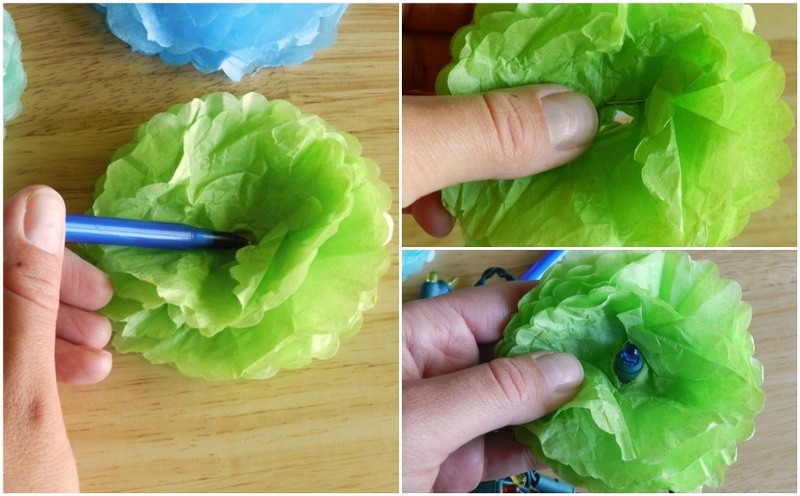 For full instructions on these see my Mini Tissue Paper Flowers Tutorial. 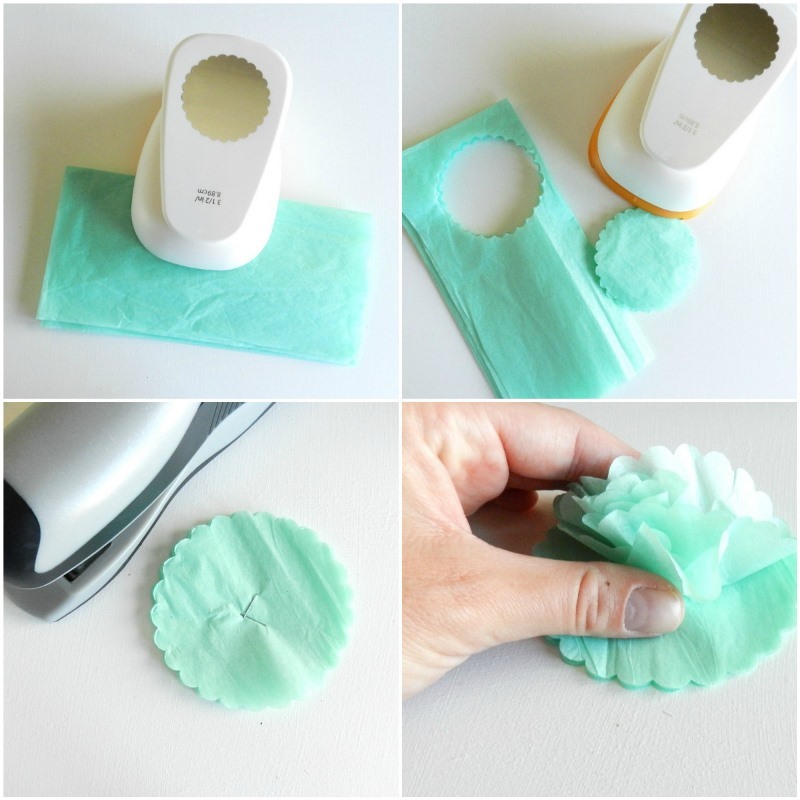 If you don't happen to have a large flower paper punch, you can cut circles out with scissors. Step 2: Use a pen to poke a small hole through the center of your flowers. 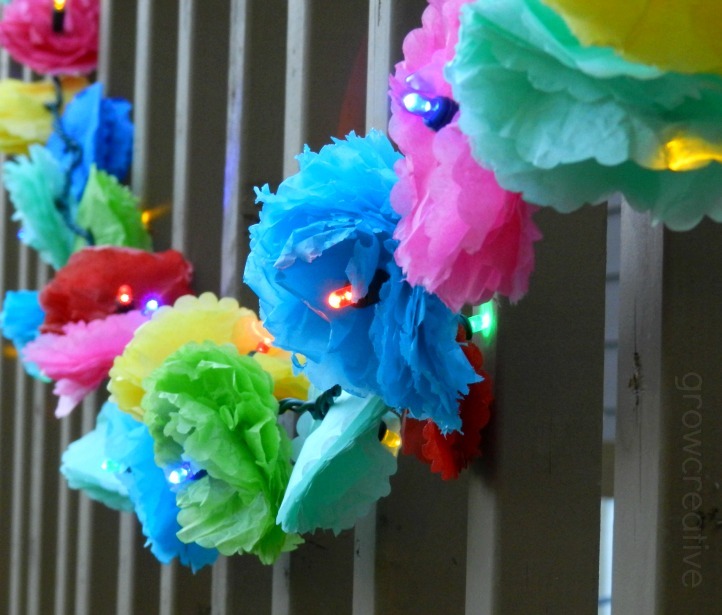 Step 3: Attach the flowers to the LED lights by putting each LED light bulb through the hole in the flowers. Safety Note: Please only use LED lights for this project since they do not produce much heat. Tissue paper is flammable. Regular lights may be too hot for this project and have a chance of lighting the tissue on fire. All done! Hang up your lights and enjoy your party! oh wow!! those are too cute! SO clever. Pinning right now! UH-DORABLE!! I am so making this for my daughter's bedroom. Thank you so much for sharing! 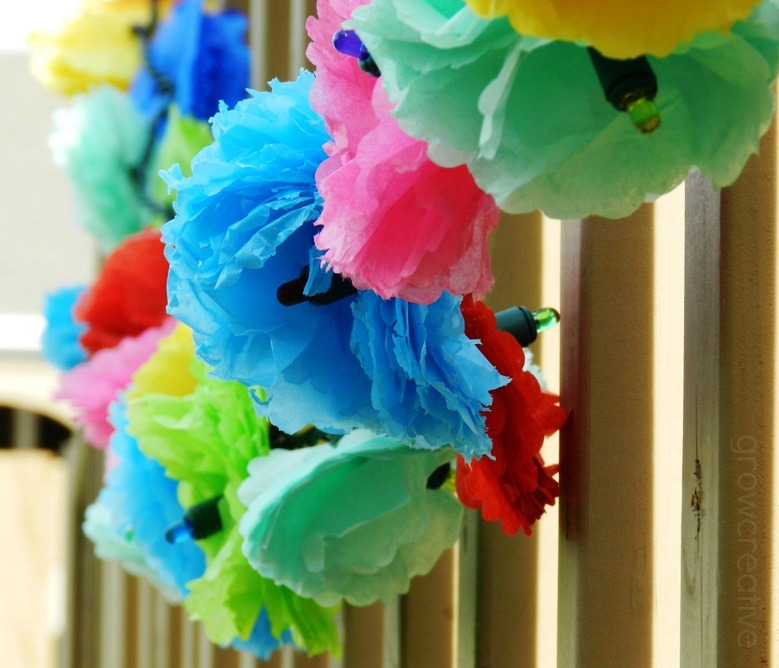 These are so festive and would be great for a variety of events! Pinning to my parties board. To cute Love the idea & what a pretty way to decorate ! Thank You ! !